Samsung started the new year in announcing the new Samsung Galaxy Ace Plus. 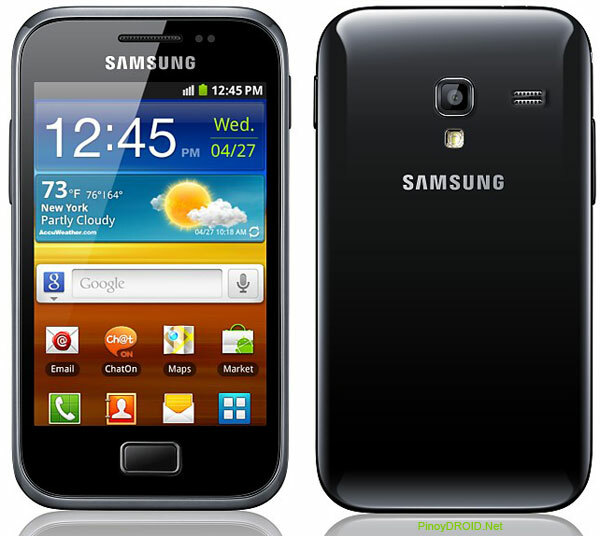 The original Galaxy Ace is one pretty mid-range Android phone from Samsung and the second generation Galaxy Ace Plus is a good upgrade from its predecessor. The specs is somehow same like the Galaxy S and Galaxy Ace. The Galaxy Ace Plus specs includes 1Ghz processor and 512MB of RAM which is fairly enough for today’s Android apps. The internal storage is 3GB and expandable via a microSD. The internal storage is sufficient enough in handling all your apps and the expansion card can be used to store your videos and music with ease. For the connection, the Galaxy Ace Plus is running on a GSM and 3G networks HSDPA and it has GPS too. It has WiFi and Bluetooth which a standard in all today’s smartphones. The display is a VGA LCD – it measures 3.65″ at 480×360 which is quite small to the standard 800×480 in some Android phone displays. Note worthy of mentioning is its battery. It comes with a standard 1300mAh since battery life is becoming an issue in Android as it consume a lot of battery juice. As for the software, it is powered by Android 2.3.x Gingerbread and TouchWiz UI for the overlay. There is no word yet if it is capable of running Android 4.0 Ice Cream Sandwich though Gingerbread will suffice the needs of any Android user. The Samsung Galaxy Ace price is not yet announced and its availability. If you follow the trend most of the phone is released after 2 to 3 months after its official announcement. There is also chance that this phone will be displayed at CES 2012 along with the upcoming Samsung Galaxy S III. This entry was posted in Android Phone, Featured, Samsung and tagged Android 2.3, ces 2012, galaxy ace, Galaxy Ace Plus, Gingerbread, Samsung, Samsung Galaxy S III. Bookmark the permalink. Post a comment or leave a trackback: Trackback URL.